Many of us get so wrapped up in the legacy of Silence Of The Lambs that we sometimes forget just how great Ridley Scott’s Hannibal is. 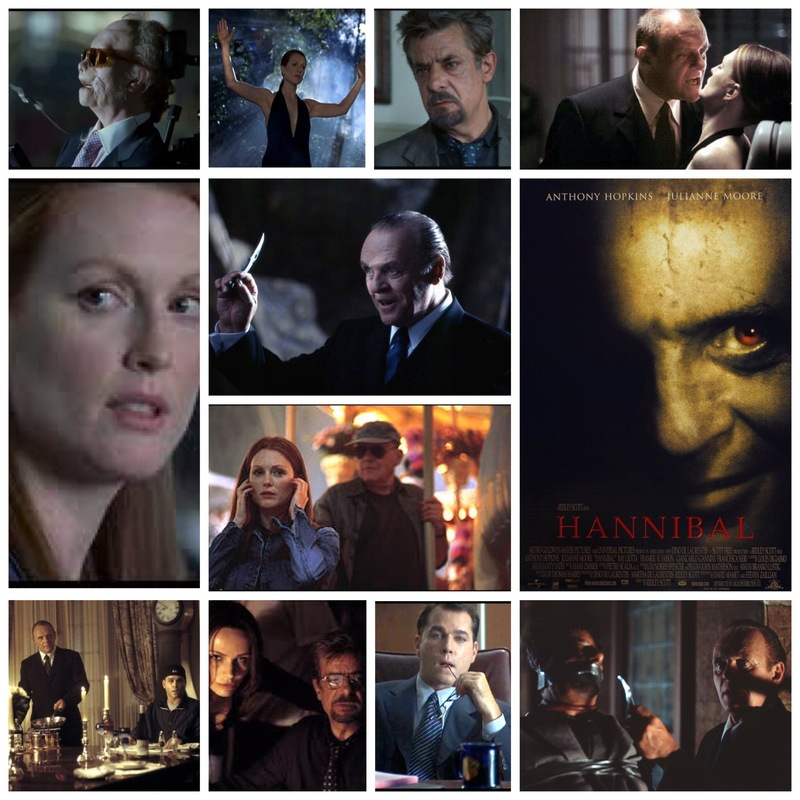 Lambs is a wicked clinical shocker, full of psychopathic deviance and razor suspense, but Hannibal is just as good, instead coming from a place of lush, baroque opulence and velvet gilded carnage that overflows with style. They’re two very different films populated by the same characters, chief being Anthony Hopkins’ disturbed cannibalistic serial killing psychiatrist. Lecter has settled down in Italy when we find him, where one foolish police detective (Giancarlo Giannini, terrific) thinks he can lure the good doctor into a trap. Big mistake, although his efforts do gain the attention of FBI Agent Clarice Starling once again, this time played with grit and grace by Julianne Moore. Lecter is fascinated, perhaps even attracted to Starling, and it’s a treat watching them play a complex game of European cat and mouse whilst other various characters dart in and out of the tale. Ray Liotta blunders into their path as Starling’s ill fated bureau handler, a loudmouth who… doesn’t quite… keep his head screwed on tight (yes I went there). Gary Oldman shows up too, although you’d never know it was him as he’s uncredited and slathered up under a metric tonne of Chernobyl waste prosthetic makeup, playing perverted millionaire Mason Verger, who has a bone to pick with Lecter and I mean that quite literally. Hopkins had aged some since Lambs and doesn’t have quite the same unsettling virile charisma he did there, but he’s lost none of the malevolence or cunning, showing once again what a manipulative monster Hannibal can be. This film is all style, and even the frequent graphic violence, although abhorrent, is done with all the flourish and hues of a renaissance painting. The horror is somehow numb as well, or relaxed would be a better term. Lambs was all in your face with jump scares and spine shuddering yuckyness, while here the horror is rich, deep and vibrant, terrifying yet oddly aesthetic. Goes without saying that this is the closest Lecter film, in terms of style, to NBC’s masterful tv version we’ve been blessed with today, and much inspiration was no doubt culled from this gem. Beautiful, harrowing stuff.